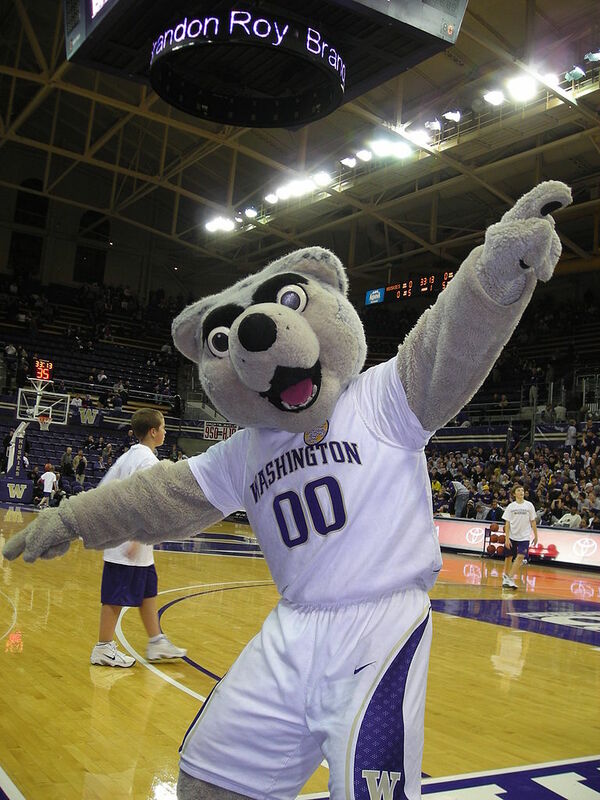 I spent a hell of a long time at the University of Washington, but I can’t say I am a big fan of Harry Husky, the UW mascot. Maybe it’s the slightly dazed look he has, but I don’t much care for Harry. 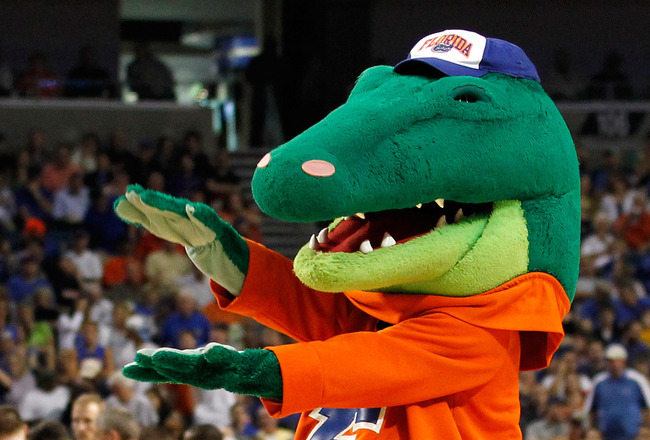 My idea of a cool mascot is Albert the Alligator, the mascot of the University of Florida. For one thing, he has a slightly devilish look. And for another he has a wife, Alberta. I have been thinking about mascots a bit lately since I attended the UW-Arizona game last week and I have been watching a ton of college football on tv. 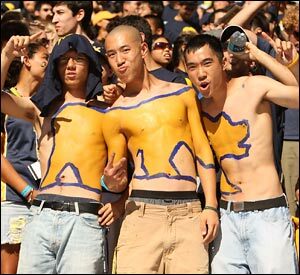 I am also always impressed by the lengths fans go to dress up and support their team. Though of course a few fans can’t help but cross the line. 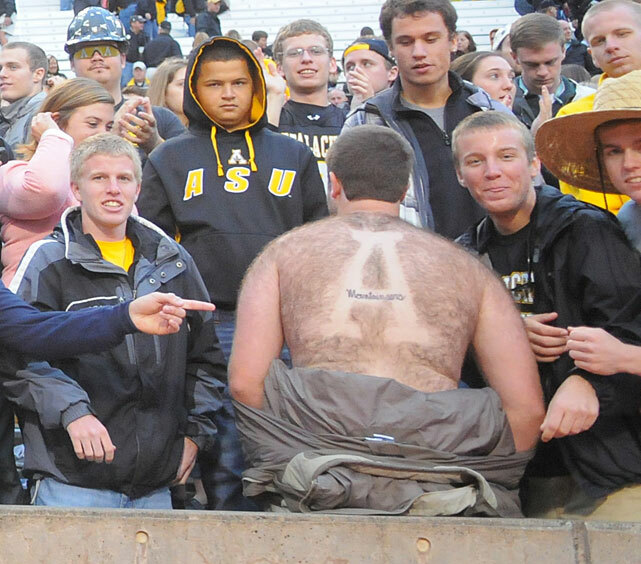 So if you want to show your support for your team, but lack the back hair or painting skills to pull it off, I have an idea for you. You can show your school spirit by creating your own custom New Balance 993 or 574 shoes in your school colors. The shoes will be made by members of our extended American family working at New Balance’s factories in Boston or Lawrence, MA or Norridgewock, Norway or Skowhegan, ME and delivered to you in under a week. 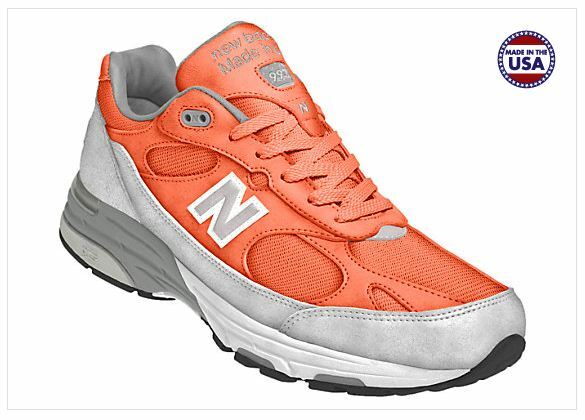 An Orangeman might make a shoe like this one. So I encourage you to visit the New Balance site and make yourselves some shoes that scream school spirit. 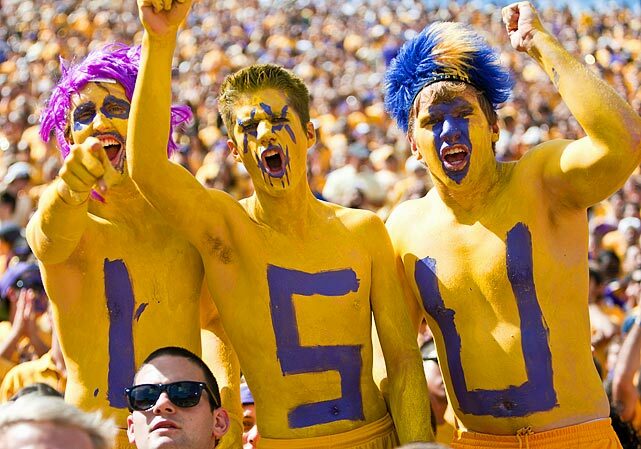 You can wear them to the stadium to cheer on your team and your mascot. 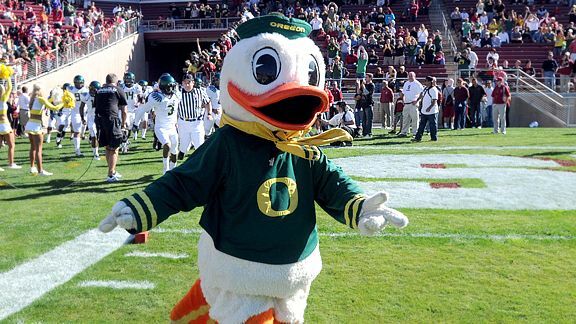 Let’s just hope your mascot isn’t as dopey as Puddles, the mascot for the University of Oregon. 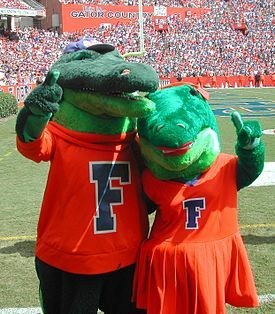 This entry was posted in american made, Made in America, made in usa, shoes and tagged Alberta, Boston, Made in America shoes, Made in USA shoes, Mascot, New Balance, Norridgewock, sports mascots, University of Florida. Bookmark the permalink.